Are you fond of biking? If yes, do you feel as if you wanted to go to a far place and from there it is where you wanted to set off with your bike? Are you having a trouble thinking how can you do that? My advice is that grab a Thule Bike rack now! Well, I didn’t mean grab it literally, what I mean is buy it! 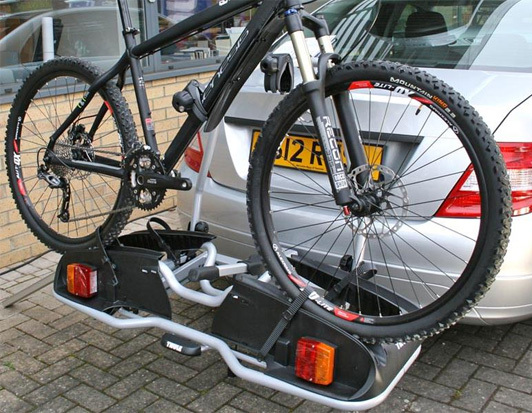 And if you have decided to buy a bike rack make sure to purchase a quality one like the thule bike racks. Because some bike racks can be easily broken. If you have a car, you can put the rack together either at the top or at the rear part. Now if u have one already, for sure, whenever and wherever you feel like going and hang out with your friends doing your favorite hobby, you can just place your bike at the rack and not be worried about having scratches upon your car. And by the end of the day, you’ll say “I had a great time biking”!